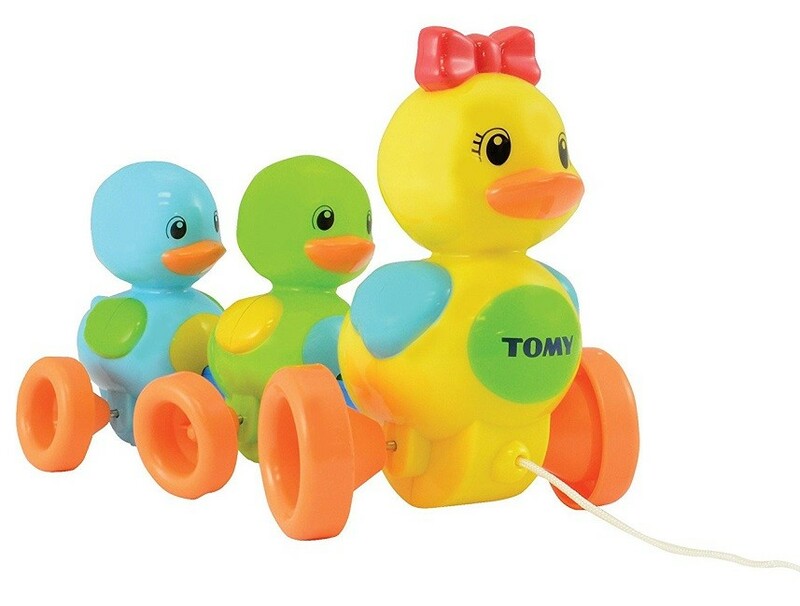 The Quack Along Ducks toy from TOMY is an adorable little duck family that is ready for some waddle along fun! Toddlers will be delighted by the whimsical waddling action and happy quack, quacking as they follow the leader. Three button cell batteries (included) provide the sounds; your toddler provides the action!